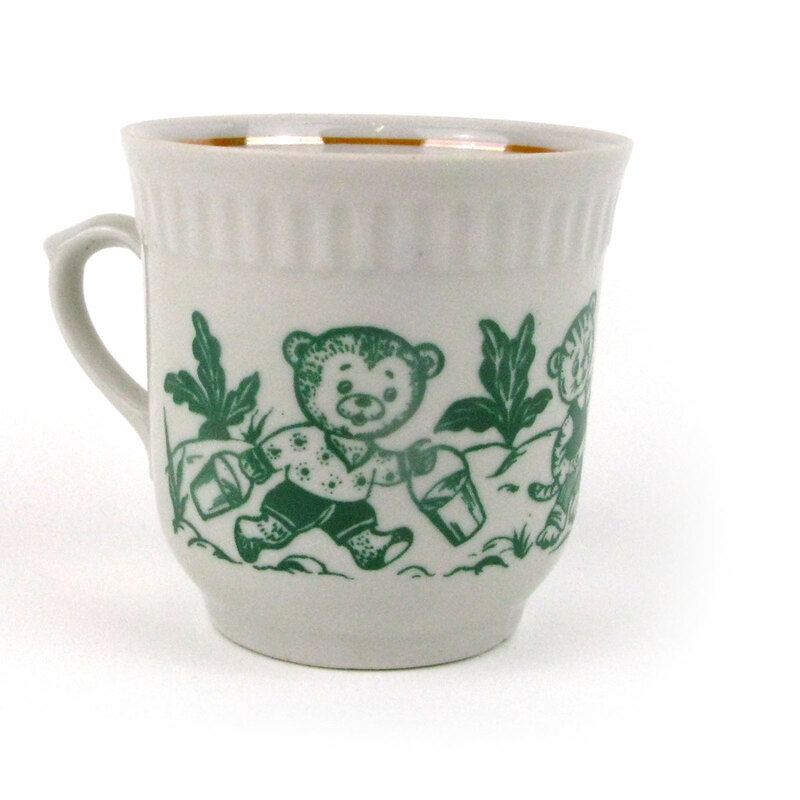 A small ceramic cup with a motif of teddy bears and a rabbit doing the gardening! Some imperfections – see below for more details. This cup is brand new old stock from a factory in Ukraine. 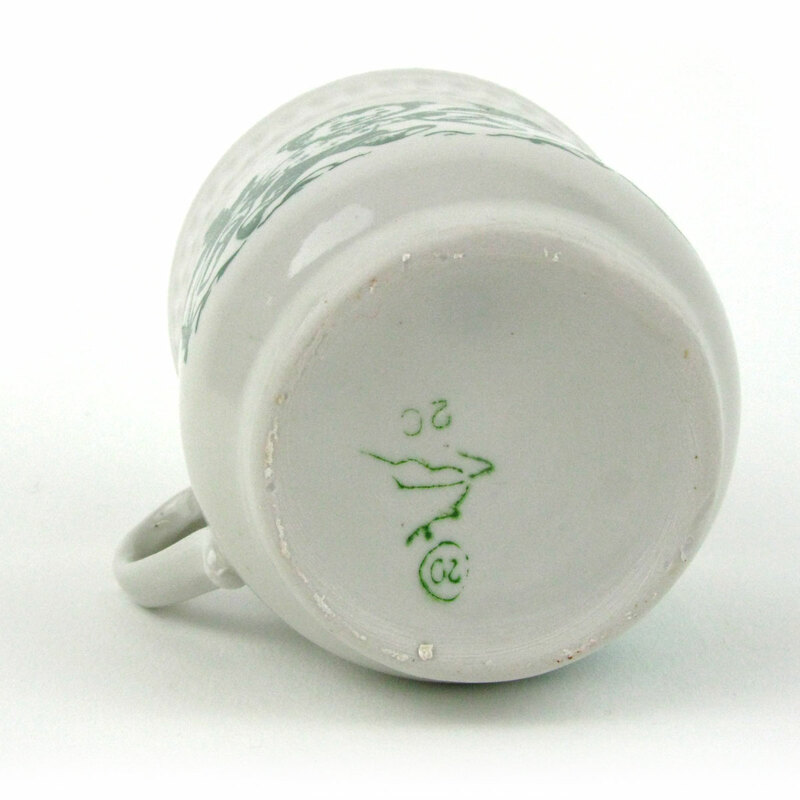 The cup is small and made from soviet-quality ceramic (i.e. not fine bone china!). 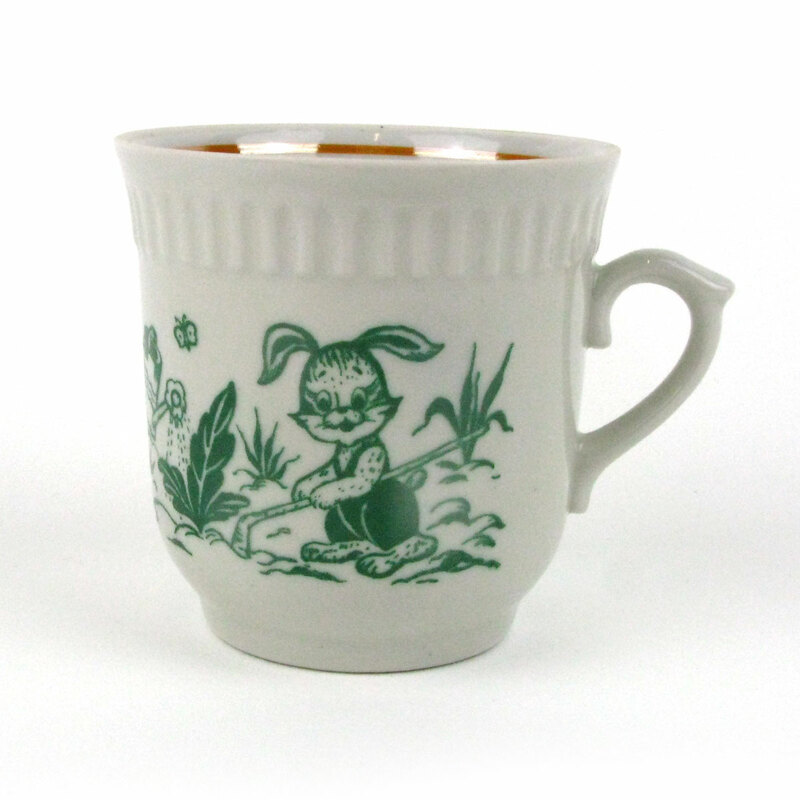 The cup is white with a green motif painted on it of teddy bears and a rabbit doing the gardening in rather groovy outfits. There is a gold stripe around the rim. 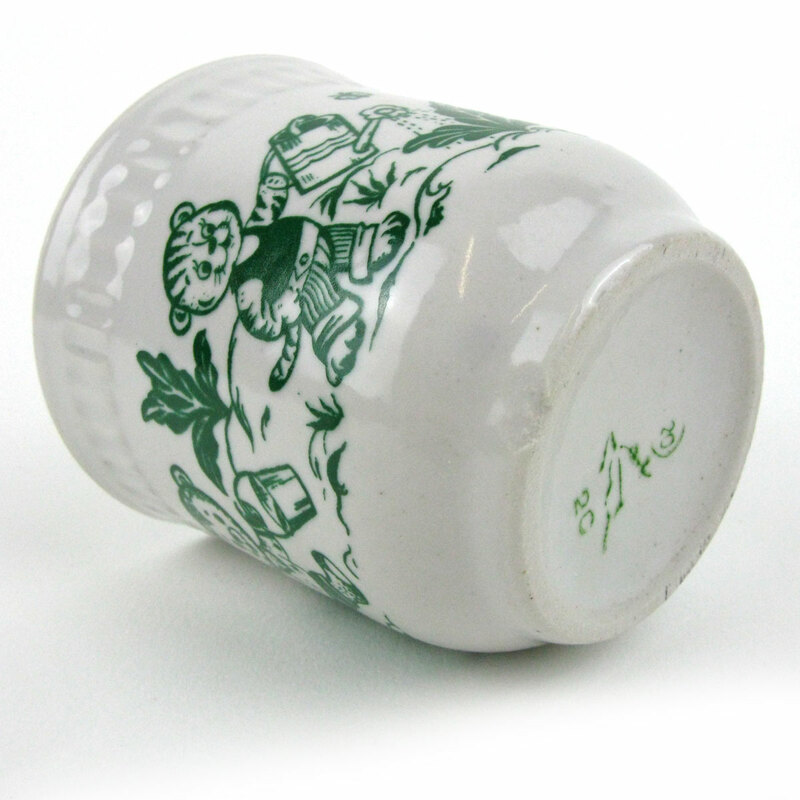 Each cup varies slightly and there are some imperfections (such as a stray piece of paint or a gap in the gold paint or a small chip in the base) but they are what they are: functional cups for kids. The cartoon style of the motif is very sought after now as East European children’s cartoons get the recognition they deserve.